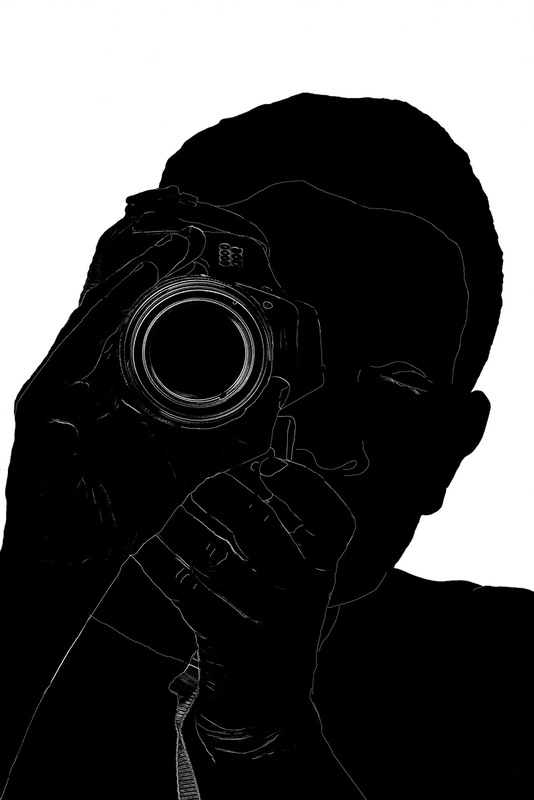 Here is a silhouette of the face and head of a man holding a camera. 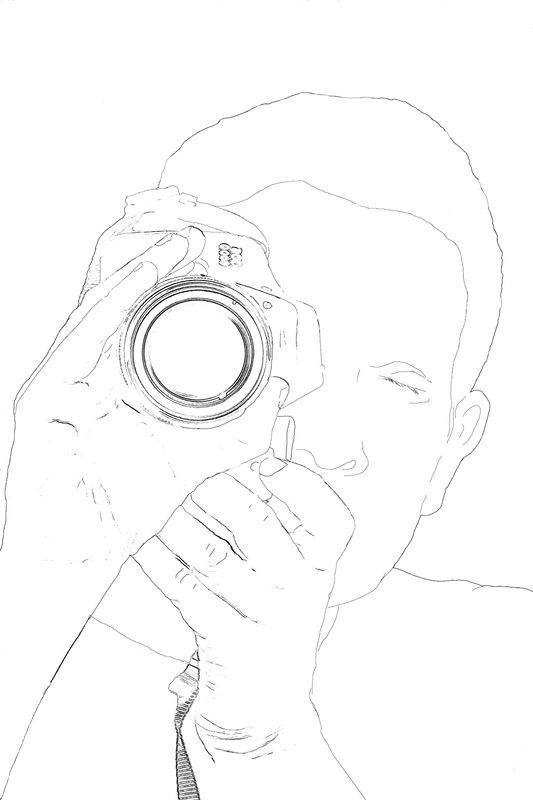 He is looking through the lens and foccusing. This is a sketch or simple line drawing of a man looking through the lens of a digital camera. or Silhouettes of Young Women Walking Silhouettes or try the label "Silhouettes" for silhouettes of people and places. Or Sketches of Expressions of irritation, annoyance and anger or Sketches of hills, a lake and trees or try the label "Sketches" for sketches of people, places and things.